If you have any tween gymnasts on your Christmas list, you may be struggling with the perfect gift. To make this easier, I have created 10 Gift Ideas for Tween Gymnasts. Why is buying for tweens so difficult? 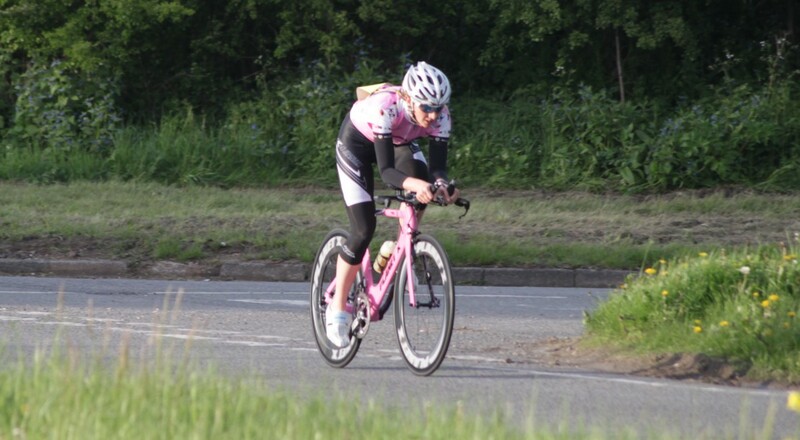 This age group is hard to buy for because they aren't "little" kids, but they aren't "big" kids either. Many tweens don't have much interest in toys. Instead, most kids are excited about electronics, clothes, and iTunes. 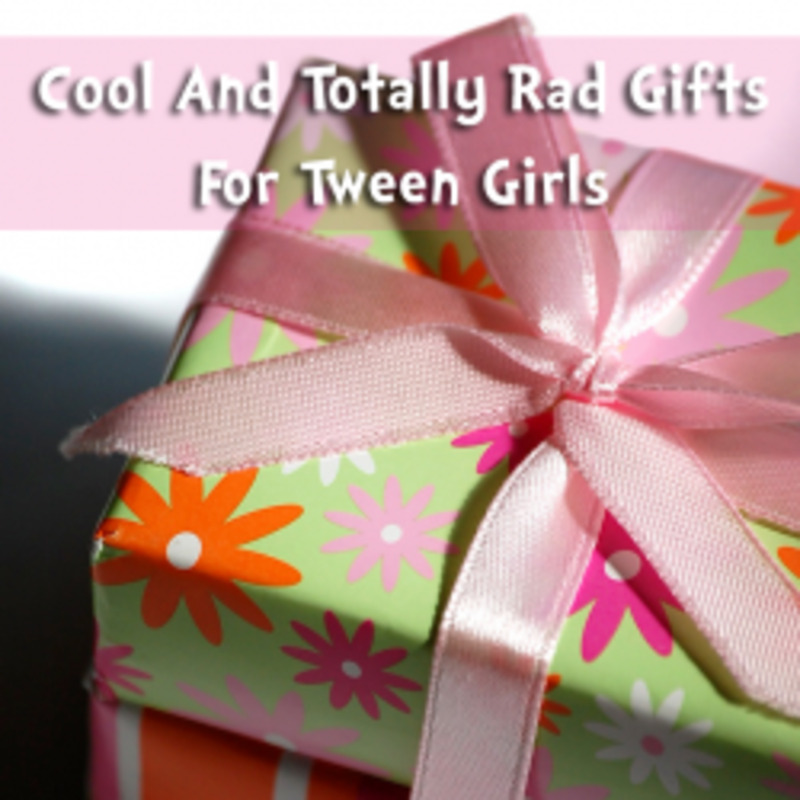 But, if the tween on your list is a gymnast, I have some great gymnastics gifts ideas for you. Whether you are buying for their birthday, Christmas, Hanukkah, or just because, you will certainly find the right present for your budget. Make sure you browse the entire list for a variety of gifts at different prices. I spend a great deal of time at the gym sitting in bleachers with other parents and in our gym's team shop. With all this exposure to gymnastics, I'm an expert when it comes to what gymnasts want or need. Since my daughter is 10, I'm especially good at determining what makes the best tween gymnastics gifts. 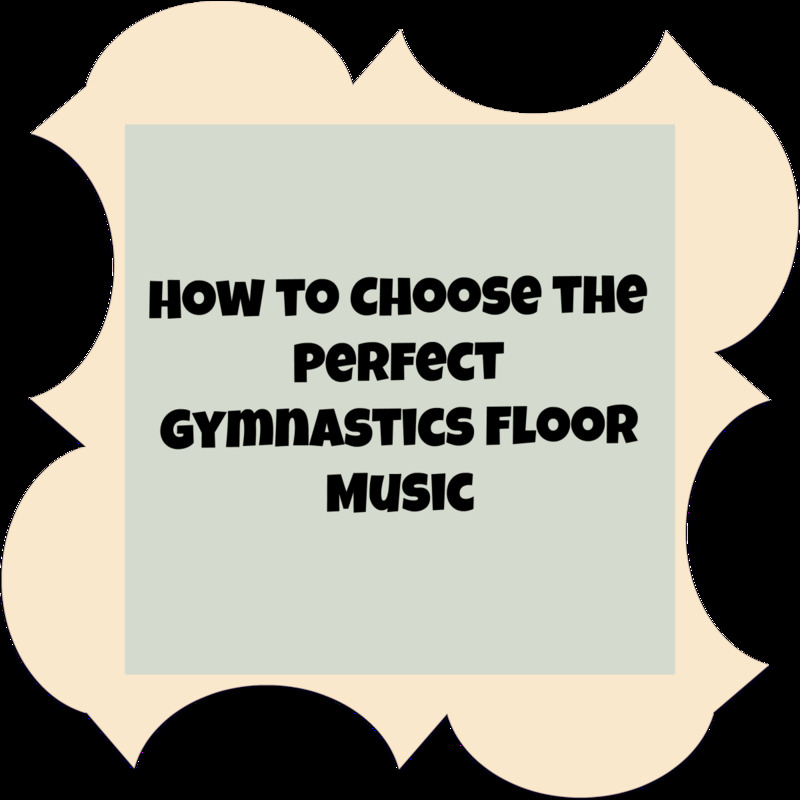 Whether your tween has just started gymnastics or is competitive, you will find your home turns into a gym fast. This happens whether you like it or not. It seems my daughter can't help but bust out into round-offs, cartwheels, and back walkovers at anytime throughout the day. Her love for gymnastics in my living room has caused more than one trip to the emergency room because my house isn't designed to be an at-home gym. To reduce some of the danger and to save my sanity as well, we are turning her play room into a gymnastics-friendly space. My husband and my first purchase is a gymnastics mat. We went with a 4X10, 2-inch thick mat, but if you search on Amazon or Ebay, you can find a variety of mats at different prices. Being a tween is an odd time in kids life because they are just finding out who they are, and who they want to be. For this reason, some tweens will feel self-conscious in front of their peers. This lack of self-confidence extends to gymnastics lessons. To help your gymnasts build their self-confidence at home get her a practice beam. When you start shopping for a beam, you'll notice there are many beams to choose from including those that set directly on the floor, or beams that can set 4" to 8" off the floor. 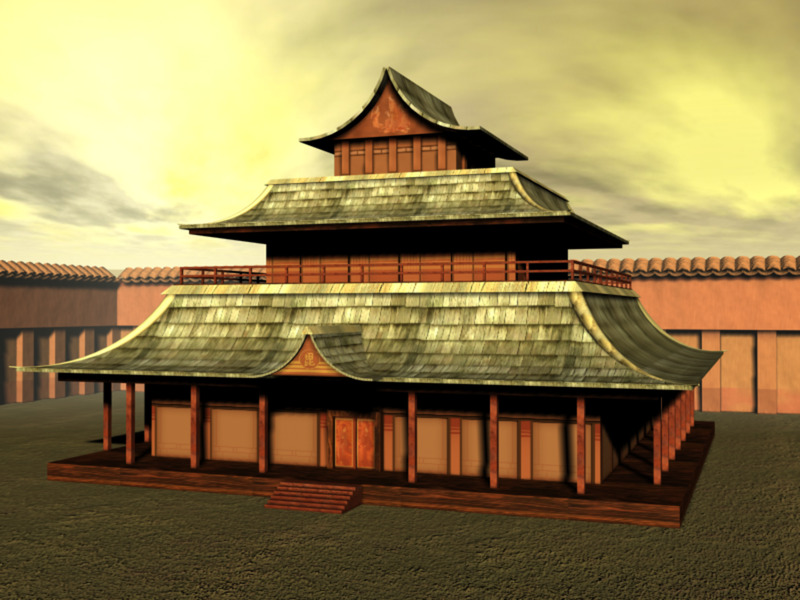 Practice beams can also be four feet or eight feet long. When your buying a beam for your gymnast, don't get overwhelmed. There are beams that look like mats and lay on the floor, floor beams, and beams that can be elevated 4 to 12-inches off the ground. With so many choices, it may be hard to choose exactly which beam is best. To help you make the best decision, I want to point out some pros and cons about each beam choice. 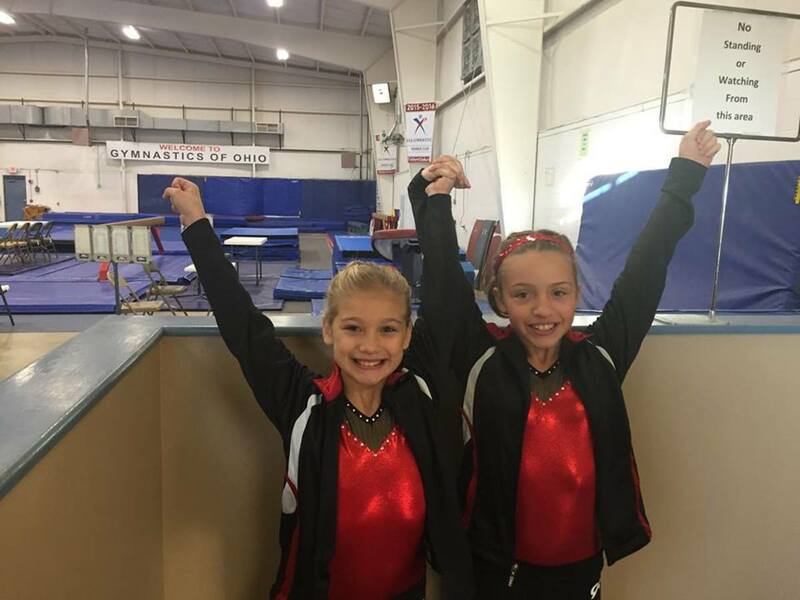 First off, beams that fold up or look like mats are designed for small, young gymnasts. This type of equipment will be outgrown and forgot about. Many of the girls on my daughter's team had these types of mats as toddlers and haven't touched them in years. 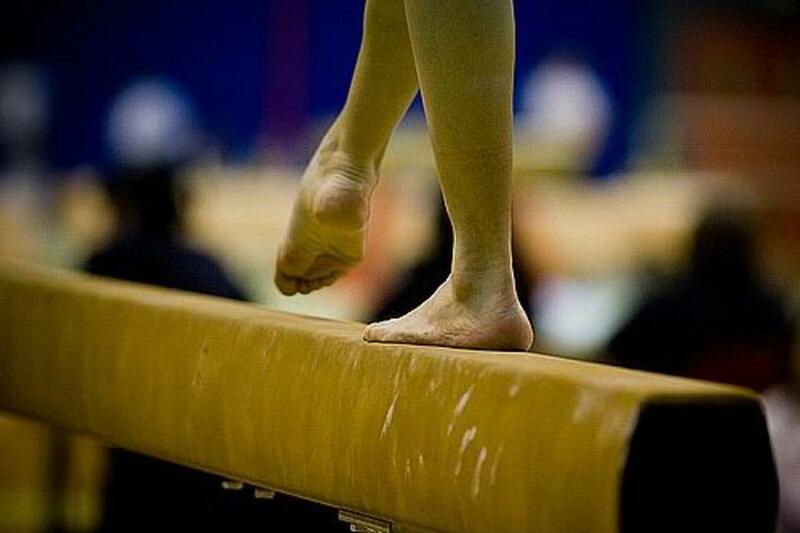 In my opinion, the best beam choice for any gymnast to use at home is a beam that sets just off the floor. For the best training at home, you should choose a beam that is 4-inches wide and at least 8-feet long. Young gymnasts will get use to how the beam feels under their feet without risking injury due to height. Experienced gymnasts will appreciate the opportunity to try new stunts for the same reason. The best part about this type of beam is that it can grow with your gymnast. 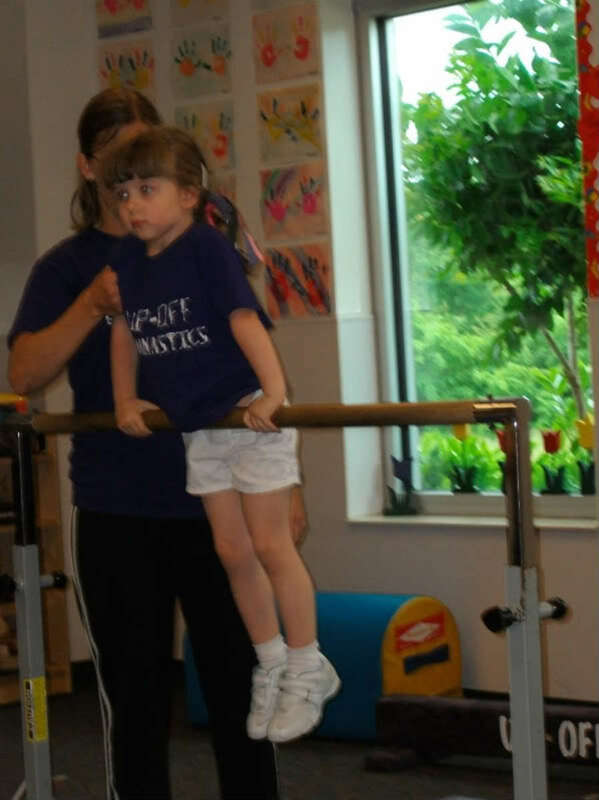 Several gymnastics home equipment manufacturers have created beam risers that allow you to raise the height of your beam. With these risers, you can choose to raise the beam to a comfortable height. Many young gymnasts struggle with uneven bars because it requires upper body strength. As is in any sport, the best way for your gymnast to perfect their front hip circles is to practice. When you buy practice uneven bars for your gymnast, they can practice their shoot thru, hip circles, and front mills whenever they like. If your home is like mine, you might not have enough room for a practice set of bars in your home. Considering we already have a mat and beam in our home, I couldn't find a spot to put practice bars. However, when my daughter was struggling to master the kip, I thought about getting her a pull-up bar. As soon as the pull-up bar was installed, my daughter was on it. In fact, she was on it constantly. Although she couldn't quite do a kip in the doorway, she did improve her upper body strength, which lead to the mastery of the kip. Eventually, your gymnast will probably ask for paws. What are paws, you ask? Paws are gymnastics equipment that gymnasts wear on their hands. This equipment aids gymnasts when they are tumbling and vaulting. There are a variety of different paws available to choose from. While my daughter's paws, the ones featured in the picture here, are tan, I have seen colored paws as well. It's important to note that paws are sold in sizes such as small, medium, large, and extra large. We purchased grips for my daughter after she "ripped" her hand during practice. If you don't know what a gymnastics rip is, it is when a gymnast rips the skin off the inside of their hand while working on the uneven bars. Grips are made of leather material that have finger holes for the ring finger and middle finger and cover the palm of the gymnasts hand. 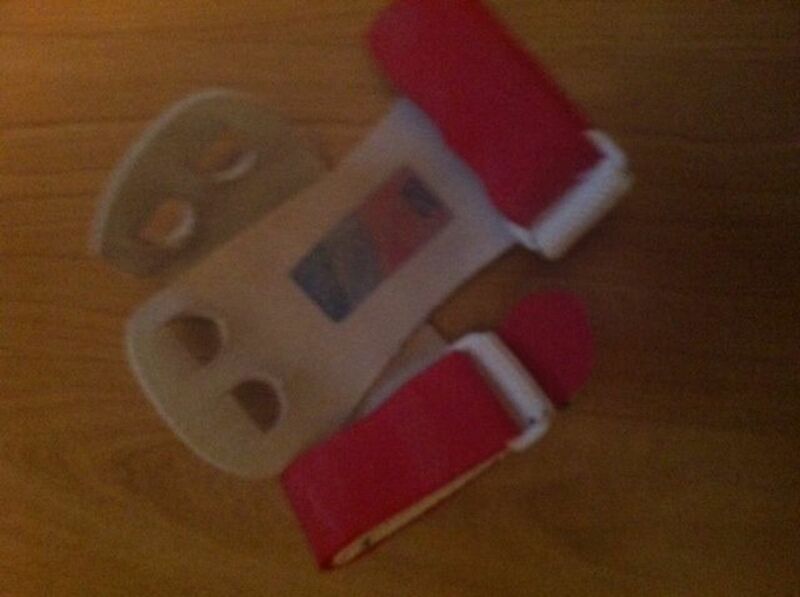 This equipment has Velcro around the wrist that keeps the grips in place. To keep the Velcro from chafing, my daughter wears wristbands over the straps. The grips featured here were my daughters very first pair of grips. 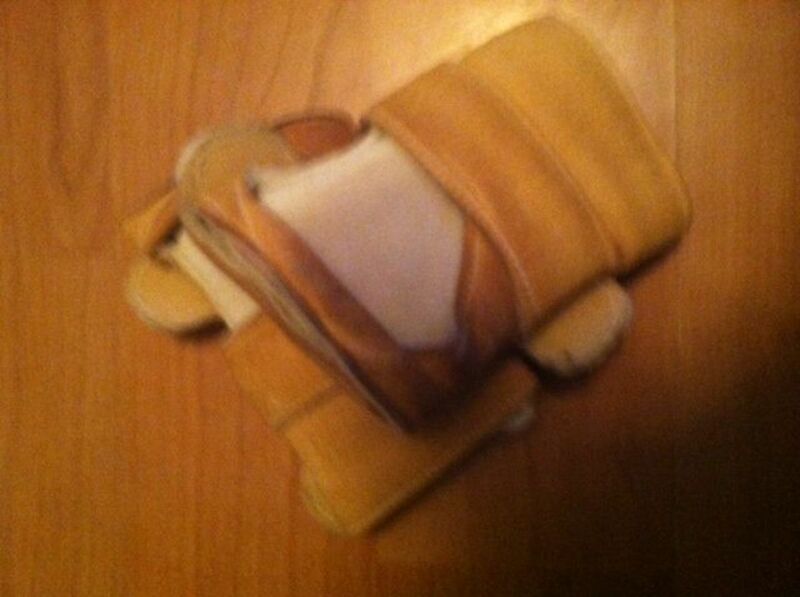 She wore these particular grips until the leather split (about 2 years). As her bar routines get more difficult, she has gone through several pairs of bar grips. If you have any doubt about what type of grips your daughter or son needs to wear on the bars, it's important to talk to a coach before buying them. As skill improves and routines become more difficult, the need of quality grips gets more important. As you can imagine, the better your son or daughter gets the more expensive their grips get as well. An easy way to keep your gymnasts organized is to buy them a small equipment bag. 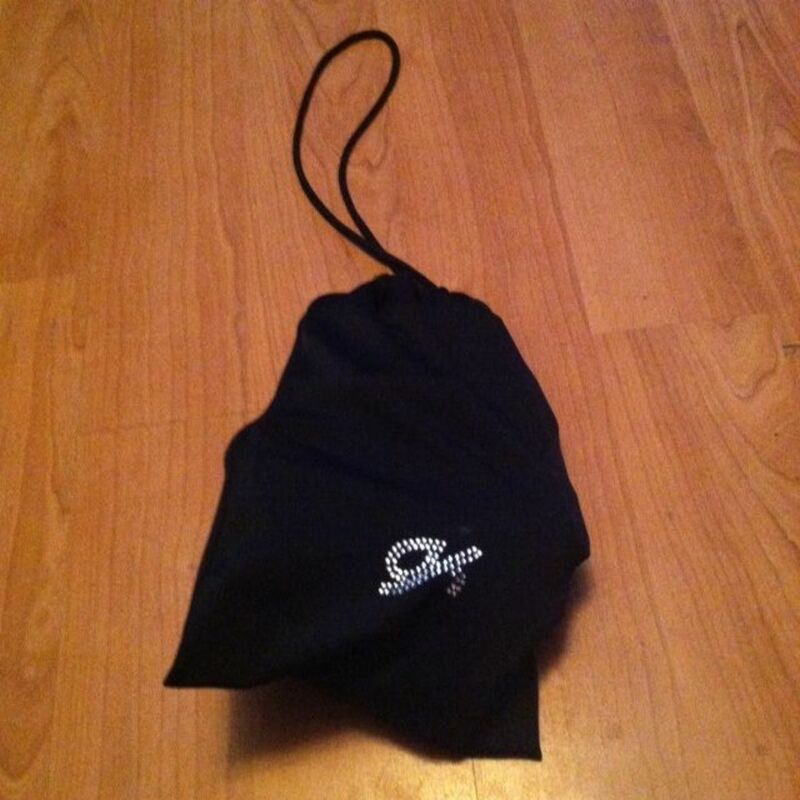 With this little bag, gymnasts can easily keep track of their equipment such as grips and paws. My daughter has two equipment bags; one for grips and one for paws. We have two different bags because my daughter hates the chalk from her grips getting onto her paws. When it comes to leos, your gymnast can never have enough, especially if they spend a great deal of time at the gym. For hygienic reasons, leos should only be worn once and then washed. This means your gymnasts probably goes through quite a few leos every week. A simple Amazon search will provide you with a variety of leos to choose from. The best manufacturers will even provide easy sizing guides that ensure you can choose the right size. In my personal opinion, the best gymnastics leotards are from GK. Many other companies make leotards that are great, but GK is my favorite. FlipFlop Leos was created by a gymnastics mom just like me. I know her story because I have bought leos from her in the past. I ran across her online store on Ebay, and I'm in love with these leos. My daughter has two leos, a camo leo and a skeleton leo from this store. I can vouch on the quality and craftsmanship of the leos created by this store. One of my favorite things about this store is the way she sizes the leos. When I buy GK leos, my daughter wears a size Adult Small. When I buy her t-shirts, she wears a size 12. According to FlipFlop Leos listing, this meant my daughter was an Adult Small. I ordered the leos hoping the sizing was accurate, and it was. 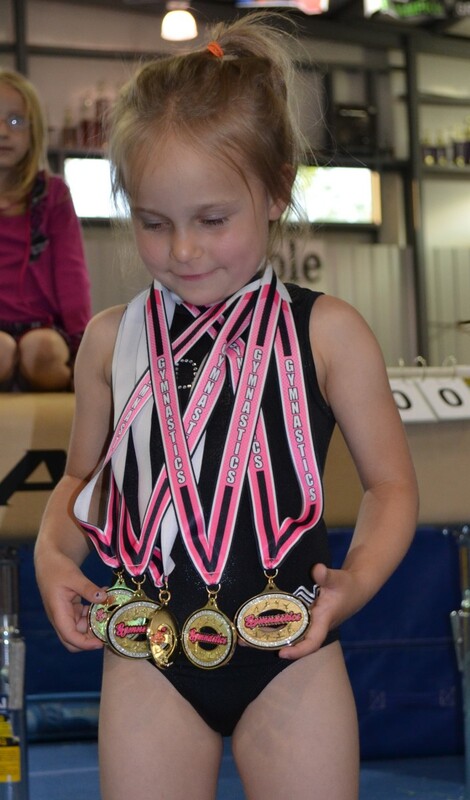 My daughter is in love with gymnastics. From her clothes to her bedroom décor, it is obvious that she is passionate about this sport. If you are looking for a surefire hit; choose gymnastics-themed bedroom décor for the gymnasts on your Christmas list. When browsing think about bed sheets, comforters, posters, wall decor, and figurines. Most tweens like to decorate with duct tape, fake tattoos, and other fun embellishments. Tween gymnasts also like to use colored athletic tape. Even if your gymnasts hasn't used tape in the past, they will probably need it at some point in their gymnastics career. With colored tape, sprains and rips are a bit easier to deal with a bright colored tape on your hand or foot. 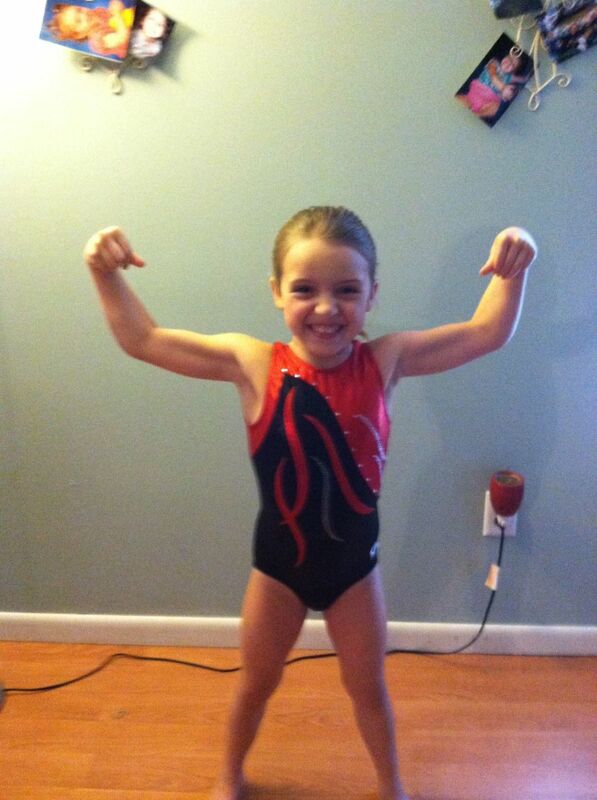 For my daughter, I bought red tape to match her competition leo. This way if she needs tape at a meet, it will look great with her red, black, and silver leo. If you are totally unsure of what you should buy, consider purchasing a gift certificate from your gymnasts' home gym. Almost every gym has a team shop, and with a gift certificate to the shop, your gymnasts can walk in and pick out her own gift. Did you Find the Perfect Gymnastics Gift Idea? - Do you have something to add to the List?